I buy gifts, I bake cookies and I do celebrate Jesus birth in a traditional holiday way. Christmas time is a great celebration of the birth of our Lord and Savior. I’ve learned to keep my precious Jesus in this holiday season. Christmas takes a while to come and then it’s over in one day. I try to make good use of the entire holiday season. There are a few important things that I would like to share about celebrating Christmas. I use the Christmas season to allow God use me to minister to others. I spread the love of Jesus by giving a small gift or card to the many people that I’ve come into contact with this past year. Christmas is a big opportunity for evangelism!! I try to invite people into my home to show the love of Jesus. There’s no other holiday better than Christmas that we can use to bring that warm fuzzy feeling to touch a person’s heart. It will keep the reason for the season at the forefront. What better birthday present could we give to Jesus…souls! Another important thing about Christmas is that it’s a big reminder of God’s love for me. Jesus being born supernaturally for me and for you is the greatest show of love. It was the earthly beginning of God’s plan for my eternal soul. Christmas is LOVE! The Last important thing about Christmas is what I do with it is up to me. I can spend Christmas with OVER THE TOP indulgence of food and gifts or I can spend it like the grateful adopted daughter of the most powerful being in the entire universe. Moderation is key here. I need to follow the lead of the Holy Spirit. Remember to try not to act extra holy just at Christmas time and Resurrection day (Easter). Just keepin’ it real here. Our Christian walk should be an everyday all-day time consisting of worshiping and praising God, walking with God, studying about God and serving God. Psalms 34:1 …..I will bless the LORD at all times: his praise shall continually be in my mouth. The Christmas story is in the bible but the Christmas holiday is not. We can still use this holiday to bring Glory to our God. Father God…we thank you for the gift of your wonderful Son Jesus Christ. Thank you for loving us so much. Please help us to be creative, wise and discerning this Christmas season. Please send people in our direction and help us to be sensitive to the Holy Spirits leading. In Jesus name Amen. 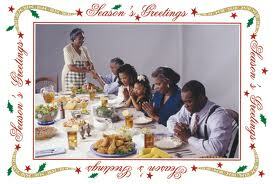 Matthew 2:11 On coming to the house, they saw the child with his mother Mary, and they bowed down and worshiped him. Then they opened their treasures and presented him with gifts of gold, frankincense and myrrh. 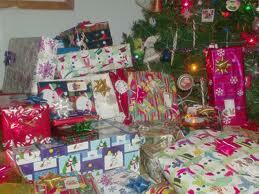 When my children were little we told them that Jesus provided for us and that’s where their Christmas gifts came from. We let them open their gifts on Christmas morning and it was always so much fun. But when our children were in their teens we started a new family tradition. Instead of opening the gifts on Christmas morning…we opened them on Christmas Eve so that Christmas day would be about Jesus birthday celebration. We would all gather around the tree and their father would give a mini sermon (he is a minister) on Christmas…then we would pray and then present each other with gifts, laugh and have such a great time. Christmas day was all about celebrating Jesus birthday with a big dinner and a birthday cake. We sang Happy Birthday to Jesus and thanked God for sending His son. Now that my 6 children are grown…I have to say I miss that family tradition…but oh the memories! I know the Magi brought gifts to Jesus and I don’t know how the gift giving on Christmas got started…but I do enjoy it and I do keep the whole Christmas celebration in moderation. I also always keep the reason for the season before me and my family. 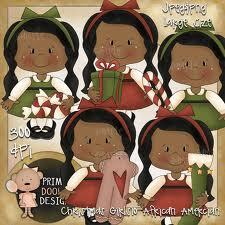 Message for today: Giving gifts is a good thing…Celebrating Jesus birth is a better thing. 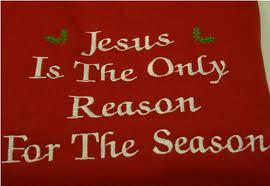 The old saying that Jesus is the reason for the season will always be my Christmas motto…what about you?